Introducing Marketplace-E, a new way to buy and sell equipment online. Marketplace-E offers sellers more control over price and process. After soft launching in late 2017, we’re officially introducing Marketplace-E – our newest online buying and selling solution. 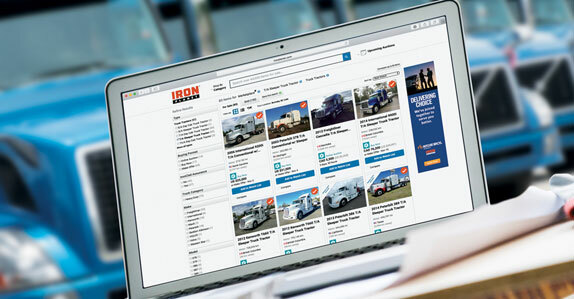 Complementing our onsite unreserved auctions and online-only auctions through IronPlanet, Marketplace-E offers sellers increased control over price, location, and timing, while providing buyers access to more equipment available to purchase right away. The Marketplace-E model – three buying and selling options. Buy Now: List equipment online at a fixed, buy-it-now price; like a basic e-commerce transaction. Once the item is purchased, the listing is closed. Webinar: Learn how Marketplace-E can help your business. We’re hosting a webinar on April 9 withMatt Ackley, Ritchie Bros.' Senior Vice President, Product Management & Digital Marketing. This 30-minute, interactive webinar will walk through how Marketplace-E is designed to help customers and their businesses by providing increased control over the selling price and process of their assets. Register for the webinar here.